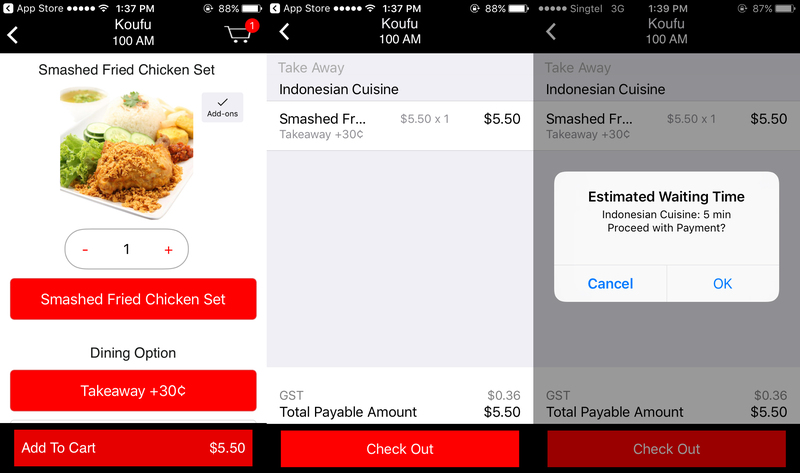 DBS FasTrack is the Singapore bank’s attempt at streamlining the ordering and payment process at f&b outlets to make it more convenient for consumers, especially those ordering takeouts. 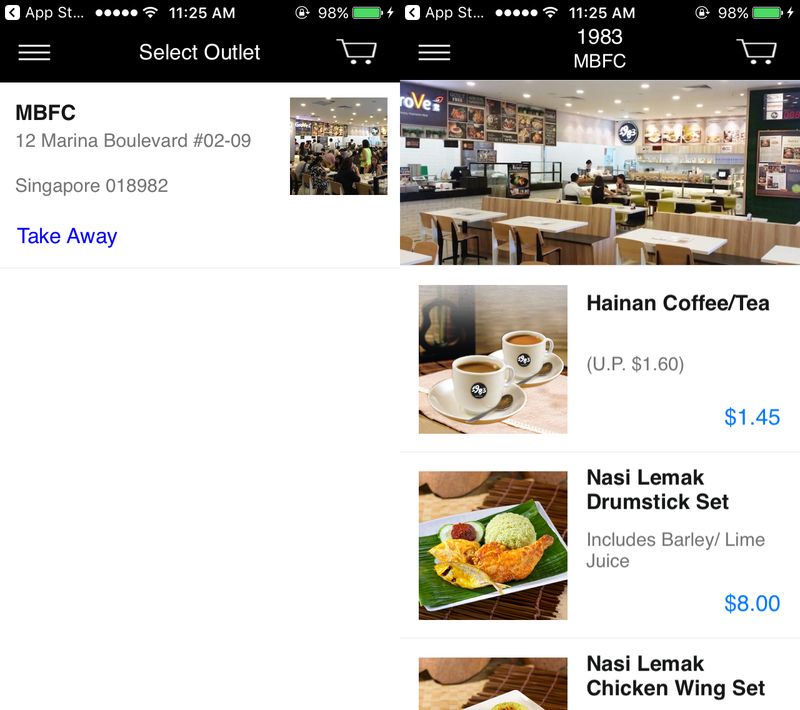 At first only a select few F&B outlets were using the ordering platform for their businesses, but now more are using it for their establishments. And the latest is food court operator Koufu. Yesterday, there was a peculiar news report on TODAY about how Koufu’s new app has been receiving mixed responses from people who have used it. 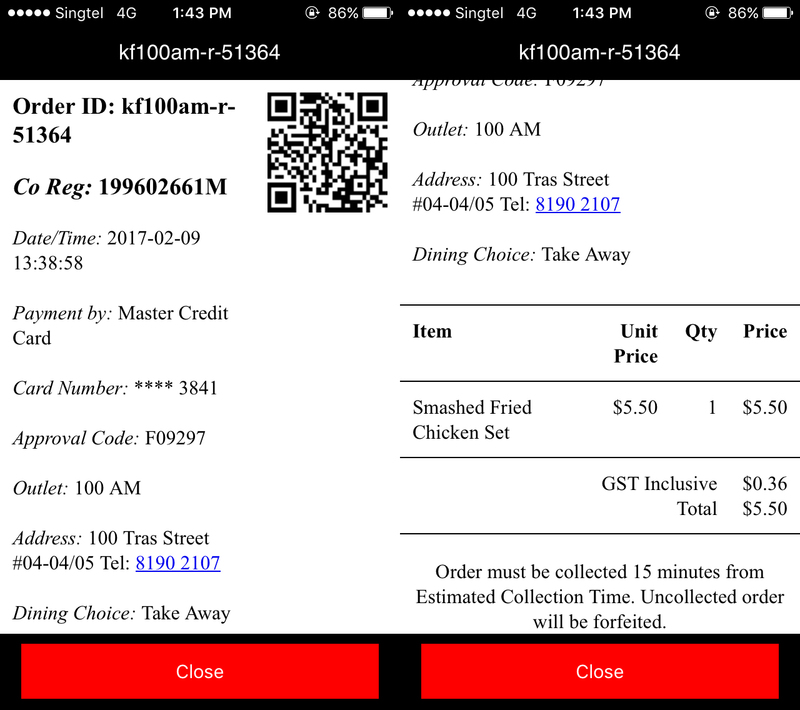 If you didn’t already know, food court operator Koufu worked with the DBS FasTrack platform to create a brand new app for smartphone users to order takeaways from their food courts, and they are using their outlet at 100AM on Tras Street as a test bed. According to people that TODAY spoke to, ‘complaints’ range from the inconvenience of having to key in credit card details, to the dilution of the experience between consumers and hawkers when ordering food. So, I set out to try this app to see the validity of any of these grievances. For the record, this isn’t my first rodeo with an app powered by DBS FasTrack. 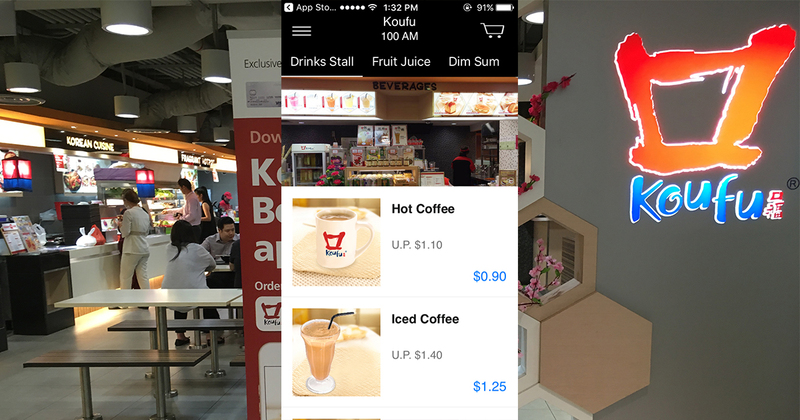 Back when Old Tea Hut used to have an outlet at International Plaza, I would often boot up their trusty app to order a drink on my phone, and just as quickly pick it up before heading back to the office in record time. Spoiler alert: It’s pretty much the same experience with Koufu. If you’re still interested to know what the process is like though, here it goes. 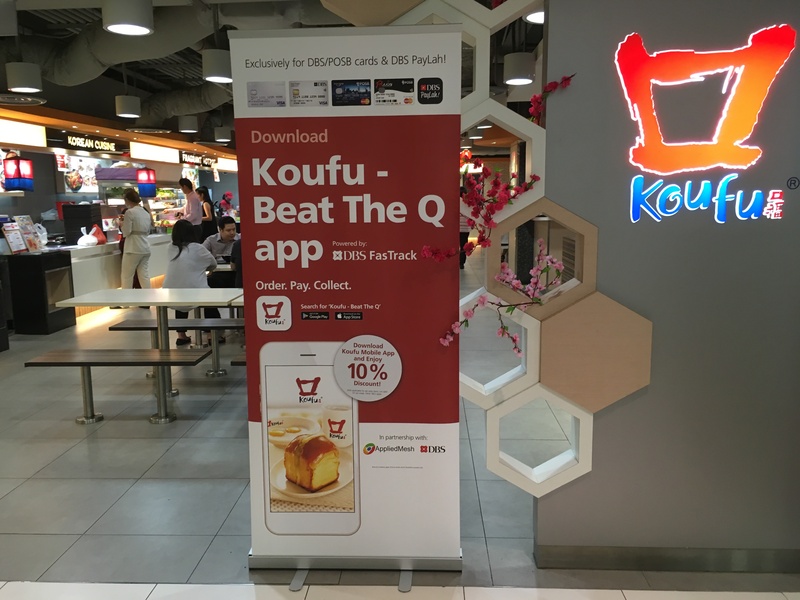 Step one is to of course to install the app, so just search for “Koufu – Beat The Q” on the iOS App Store and Android Play Store. You will then be prompted to select an outlet. After selecting an outlet, you will be welcomed to the entire menu spread in that food court. Slide through each tab to navigate between all the stalls, and once you got one, scroll down for the food and drinks that you desire. Like you would do on any mobile shopping platforms, simply add the items to cart and once you are satisfied, check them out. But before you go through with payment, the app will let you know the estimated time in which your orders will be ready. 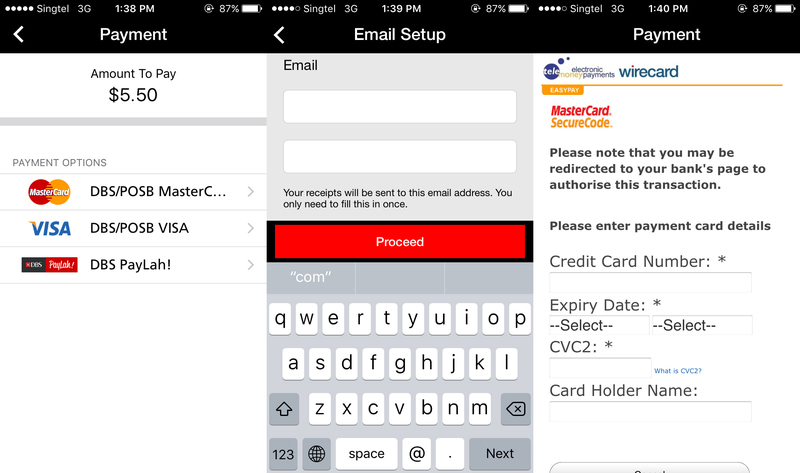 You will then be welcomed to three payment options by DBS – MasterCard, Visa, or Paylah! Then its the usual process of typing in your email address and credit card details, which you should only be doing once, if you toggle the option to save your details at the end. If you are a Paylah! user, you’ll have an easier time as you can bypass this step altogether. After confirming payment, the usual two factor security features will kick in – you will receive an SMS with a special code to enter at the MasterCard SecureCode page, and after which, your transaction will be considered successful. 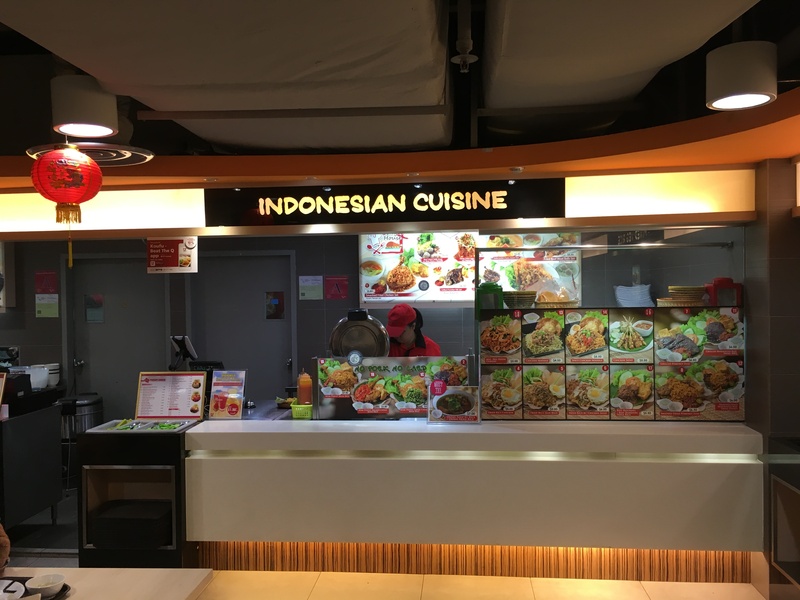 Finally, you will arrive at your receipt and in it is the most important part – the QR code that you will need to present at the food court stall. Now it’s time for me to make my way to 100AM to collect my lunch. The journey from the office to the food court at 100AM takes me a 5 to 10 minute walk, so naturally, I would expect that my food is packed and ready to go given the estimated preparation time. Reaching Koufu, it seemed that the promotions for their app is in full swing as banners have been put up at the entrance. Lo and behold, a styrofoam package nicely packed in a red plastic bag. The lady opened up the packaging for me to check that my order was correct, and then took my phone to have a look at the receipt, and scan the QR code on her cash register. The entire process of collecting my takeout took less than 5 minutes. Your mileage may vary should there be a slight queue, but knowing the food court here, queues usually die down fast. 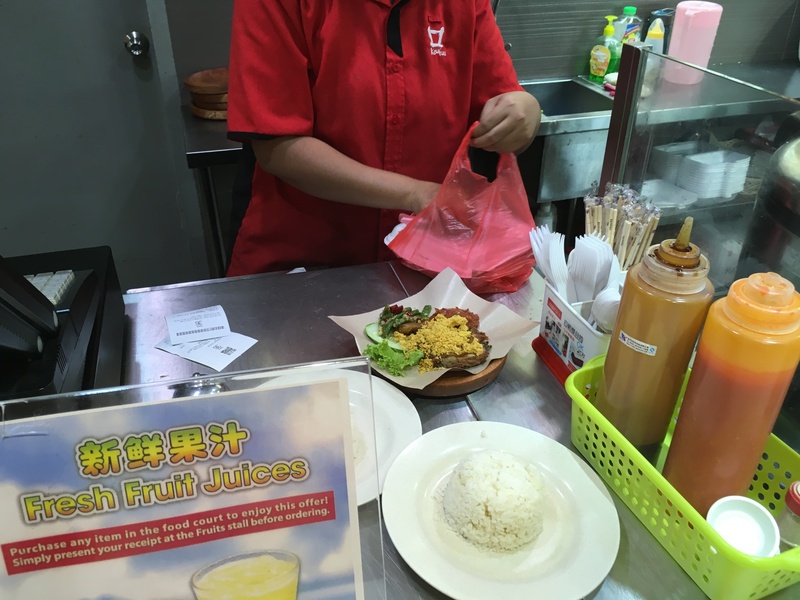 The main point is perhaps that people are already doing these same steps for their online purchases on sites like Lazada and Qoo10, so what’s the problem with doing it for breakfast, lunch, and dinner? Here’s what I can say to address the points being highlighted in the article. 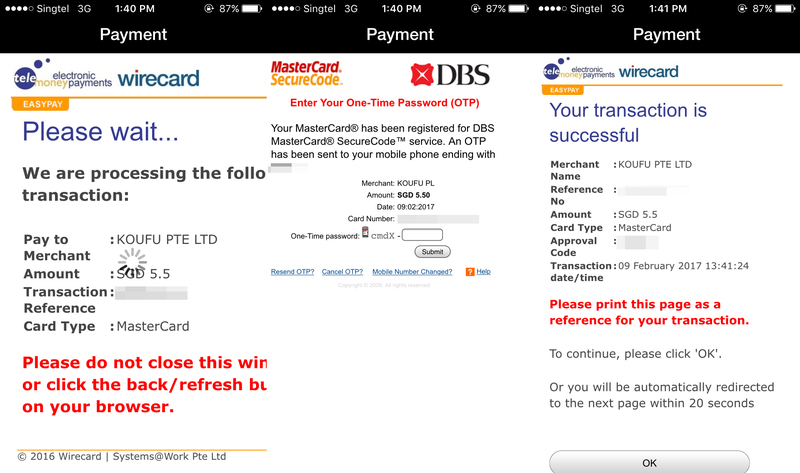 Entering your credit card details is a pain, it always is, but you only have to do it once. And the part about “diluting the hawker experience”? Unfounded. 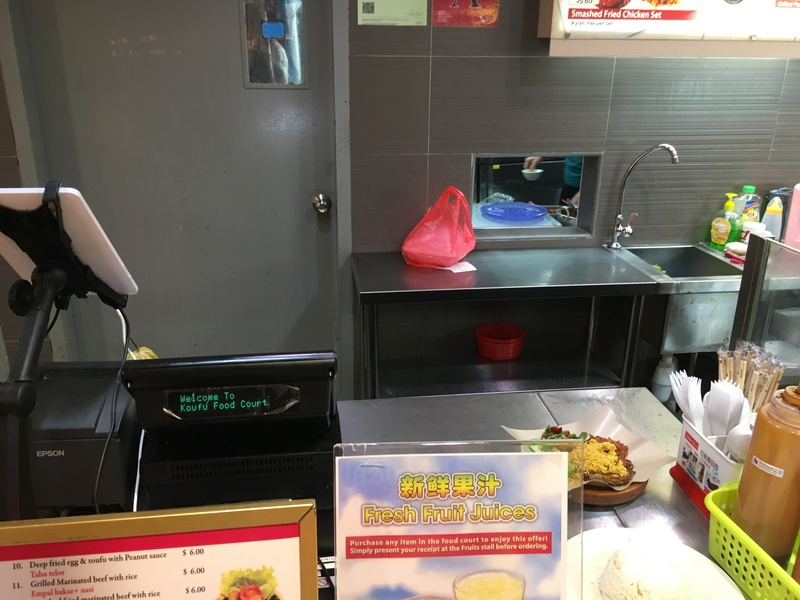 If you are really interested to have a conversation with the good people behind the counter, then what’s stopping you from talking to them before, during, and after, you collect your food during the app? For now though you can be sure that I will continue to use the app, and better yet, hope more places adopt it. P.S. 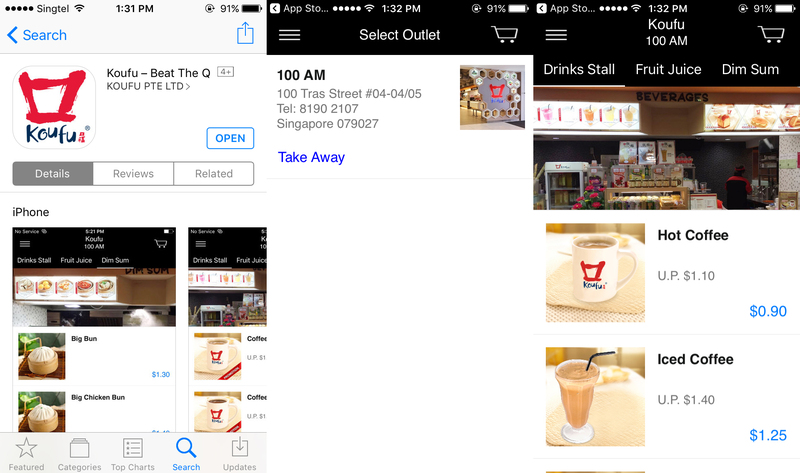 Koufu also has the same app for their 1983 concept food court, just search for “1983 – Beat The Q” on both iOS and Android. It is currently only available at their Marina Bay Financial Center outlet, so here’s one more option for lunch if you work nearby.